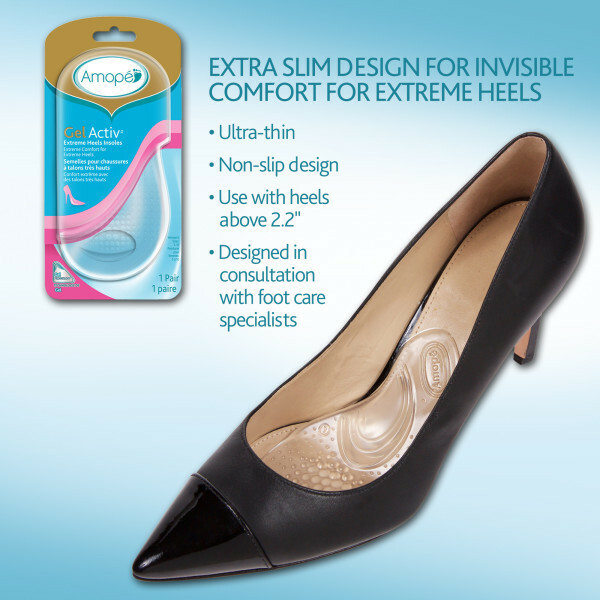 A pair of extreme high heels can make you look and feel great. Just remember you don't have to sacrifice comfort for the sake of style. Introducing the latest innovation from Amopé. 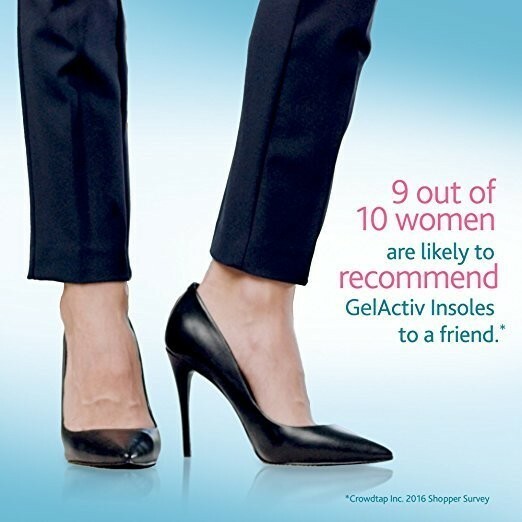 New Amope GelActiv Insoles are the cushioning gel insoles that transform your extreme heels into your favorite pair of comfy shoes. I seen the foot pads on the Wendy William shoe a guest had they in her shoes ,I find one pack ,purchased it ,use them last night in a pair of my 5inch heels wore them all night doing the party ,shoes ,very comfortable. Love them will buy more.